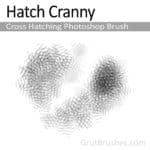 Download a new free Photoshop brush here every week. Come back every week for 509 weeks and you might be able to get every single GrutBrush for free! A new free brush will be available here on Monday April 22nd 2019! 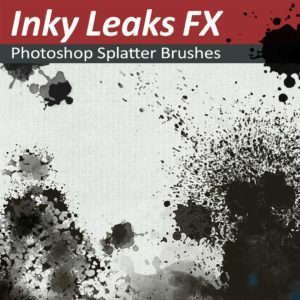 Inky Leaks Splatter Brushes for Photoshop is a set of 100 messy, splattery pressure responsive brushes. 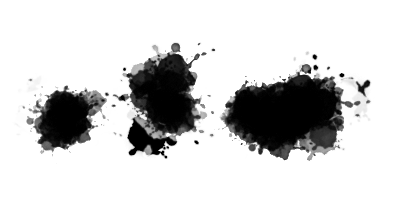 These brushes are dynamic brush tools that generate realistic looking ink splashes, splatter, smudges and other digital messes click here to see them in action. 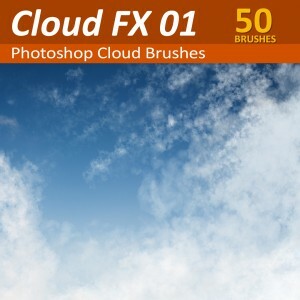 Cloud FX Cloud Brushes for Photoshop is a set of 50 realistic dynamic cloud brushes for digital artists. 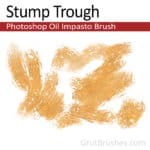 These are not stencil-stamp brushes, they are dynamic cloud brush tools for Photoshop that generate realistic looking clouds click here to see many sample before and after images. I adoooooore your brushes and your attention is gorgeous! And about half a year ago I noticed the "free week brush" thing xD so I check it every week (when I remember it!) 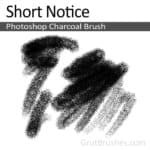 and I'd like to know if there's any way to save the free brushes on my account if sometime I change my computer, etc. Thank you Cristina! 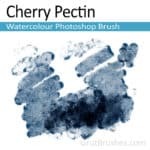 Yes, if instead of downloading them from the blue button on the free brushes page you ‘purchase’ them as free brushes in the shop while they are free, then they will stay downloadable in your account forever. It’s kind of a pain to download them all though, so most people just prefer to renew their Art Brushes membership on their account page. As you bought the set before you can renew (currently $10) and download the zip file again, plus any new ones for the next six months even if you miss a week! 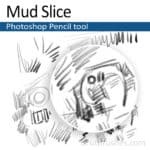 I try to download the “free watercolor brush” and it says this item cannot be purchased. 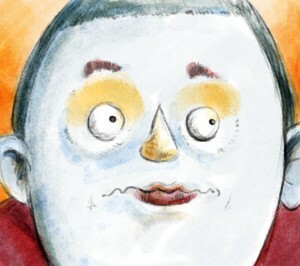 :/ I really cannot afford the paid brushes,wonder why all the good watercolor brushes are paid,they seem really great. Hey Felipe! Im guessing that happened after you logged in. That brush is free to download if you sign in, so the website won’t let you ‘purchase’ it once you are logged in if that makes sense. 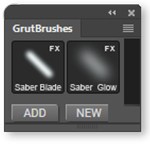 Now you can click that button to download the brush! If you still have trouble just send me an email and I will make sure you get your brush. Thank you, Nicolai! 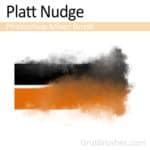 Another very nice brush! very nice! thank for your sharing! Glad you liked it Tephillah! That’s very nice of you, it’s my pleasure. Great job, as always! Thank you so much, Nikolai! All the best for you and you family in 2018! Thanks so much Brigitte! Same to you. Thanks for the free brush! Thank u so much! Awesome! My mind is blown. I colored a picture in Photoshop with flat colors but didn’t like it then I saw this free watercolor brush and gave it a shot. Insane. 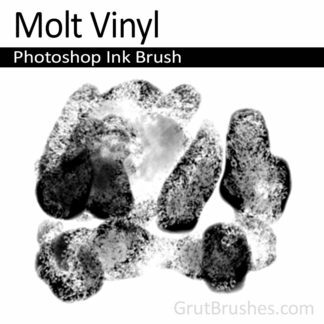 The water color texture you put in it. The way the color responds like water. The layering. I wish I could show you the two versions. Night and day. Thanks so much I would pay for this brush now out of appreciation. Its about to get a lot of use. That’s fantastic. I love hearing that. I’d love to see that Daruth! Feel free to post a link if you can share one! Thanks, I hope you like them, Have fun! Howdy. What is the name of the #150 free brush and where do I buy it? Hey there! Brush #150 was Brackish Tack and you can find it here. You can generally find them in chronological order in the shop here. They are listed in order of newest first by default. Hello. Just bougjt tour amazing set of brushes. Realistic, wonderful, easy to work with, you make my day and sure my creativity will explose with these brushes.. Thanks a lot ! Zoe! Im so happy to hear that. Thanks so much for taking the time to say so. Thanks also for getting the brushes, I’m thrilled that you’re having fun and making art with them. You’re very welcome Seihn! I’m glad you’re liking the brushes. Thank you so much for the brushes. 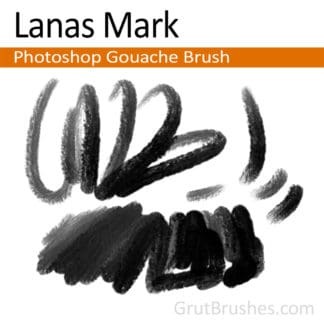 Hi, just wondering what the terms/license for use is for this brush. Can I use it for commercial purposes or only personal? Yes! You can certainly use it for commercial uses! I wouldn’t want someone to make something they love and then not be able to sell it. You can do whatever you want with it as long as you don’t sell or distribute the brush itself. Thank you very much! Going to try oil brush! Great Jenny! I hope you love it. Those are my favourites. 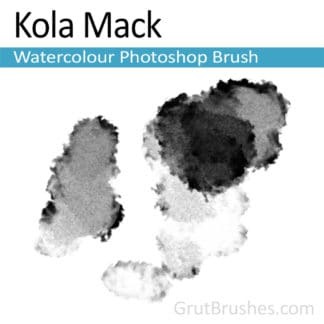 Super awesome, will check out your other brushes! I also installed the Tools Panel in the latest PS CC and it’s really handy, but has a bug..
the brush parameters like size/hardness. doesn’t work anymore and also disappears when you click anywhere to select a color. Have you seen/heard these issues? I have seen/heard of that happening on a couple of systems now but my developer hasn’t been able to reproduce it, though I believe it is a graphics memory issue. It’s hard to fix as we can’t seem to reproduce it but it something we’ll try to track down and address in the next version. Your brushes are awesome, they feel very natural when painting. Also they deliver lots of “happy coincidences” that are great for sketching thumbnails while looking for interesting shapes and values. Thank you so much ! Thank you Tatiana! I’m so glad you like them. Interesting feedback, I do try to make all the Photoshop brushes as ‘organic’ as possible to try to encourage those happy coincidences. 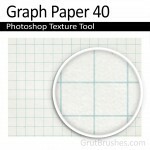 Are the Art Brushes Complete pack in ABR format? I want to use them in another program. one probably really basic question. 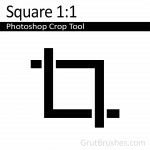 Can these brushes be used for CS6 as well or is this a CC only goody? Thank you for your input. I love the brushes!! What is the best way to enlarge the size without compromising the quality and shape of the brush? Thanks so much Tami! The best way to increase (or decrease) the brush size is to use the ] and [ keys or the slider at the top left of the Photoshop menu. 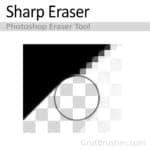 Avoid using the size slider in the brush settings panel as it will scale the main brush tip shape separately from the dual brush shape. 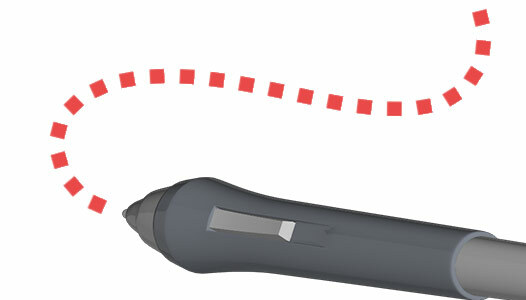 Having said that, not all the brushes can be ‘safely’ scaled and many will exhibit unwanted artifacting at larger sizes. Awesome!! Yes, I was having that problem. Thank you so much for getting back to me so quickly! 🙂 Have a wonderful day and Happy New Year!! Thanks so much for these awesome collections of brushes! I bought the complete set & I’ve been spending the past few days exploring. The possibilities are virtually unlimited! 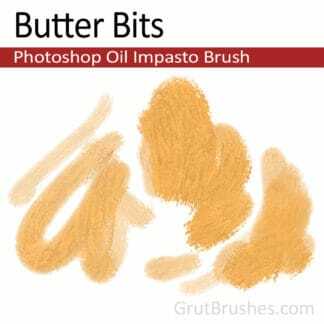 I can’t recommend these brushes enough. Thanks again! Thank you Jonathan! I’m really glad you like them and it means a lot to me that you took the time to stop by and leave such a nice comment. LOVE them so much! Is it possible to have them searchable or alphabetical so I can find them faster? As for sorting the brushes, you are mostly limited by the way Photoshop organises them, but you can open the Tool Preset manager and manually change the order of them in there. 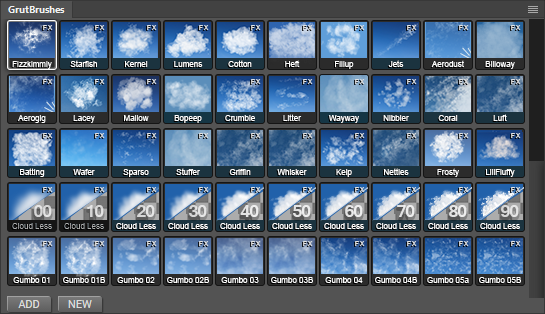 If you have Photoshop CC there is also the option of using my free Photoshop brush plugin in which you can drag and drop them into any order you want and you can also organise your favourites into sets. I don’t know of any way to automatically sort them alphabetically unless you import them in that order. You’re very welcome! …and thank you for taking the time to say so! I really appreciate it. I could not get on to this site and do anything yesterday to save my life! I even tried another browser. I cleared my cookies, rebooted my modem – you name it. Then, this morning, I heard on the news that there were some major internet issues yesterday, complements of some hacking. Maybe that was it. Today, no problems at all! Hi Su! Yes, it was a combination of problems on the site which then became impossible to fix due to the massive internet outages all across North America and Europe yesterday. I think most of the issues that affect the front end of the website are resolved today though there is a fair bit of work still to be done behind the scenes. Thanks to everyone for your patience with all this! The best set of artist brushes available to memory that captures the real feel of the medium. Thanks! Glad you lke it.